My name is Ivan, I arrived to this beautiful country at the age of 13. I am currently a college student majoring in Nutrition and Dietetics, and am also an activist and a beneficiary of the immigration program called DACA, which is at risk. My future and the future of almost a million other DACA recipients is at stake as we wait for Congress to pass legislation that gives us a path to citizenship. Elections are coming up, which is why I'm asking you to promise to go out and vote, since I can't. 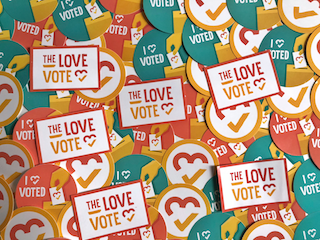 Show Ivan love + inspire others + get voting info + get event invites + get stickers + create change!